Jesus told the church of Thyratira in Revelation 2:19, “You are doing more than you did at first.” Jesus was referring to their steady spiritual growth. Jesus had commended Thyratira for their deeds that included the inward attitude of love and faith along with the external works of service and perseverance. How had this forty year old church been able to maintain a history of growth? Paul writes to Timothy, “The goal of this command is love, which comes from a pure heart and a good conscience and a sincere faith.” (1 Tm. 1:5) The “command” that Paul speaks of is the teaching from the word of God. “Command” is a Word for “instruction.” Romans 1:16 says the “gospel is the power of God.” Jesus uses seeds to represent the potential of the Word. Paul is saying, “the goal of the Word of God is the production of love in your life.” The purpose of the Word of God is to produce the image of Jesus in you. Simply knowing the Word of God or hearing Truth does not produce the kind of fruit God desires. Teaching the truth is not an end in itself. Teaching is simply the planting of seeds in your soul. These three are your soul’s growth box of Christian character. When you mix the Word with a pure heart, a good conscience and a sincere faith you will experience growth like Thyratira had for over four decades. 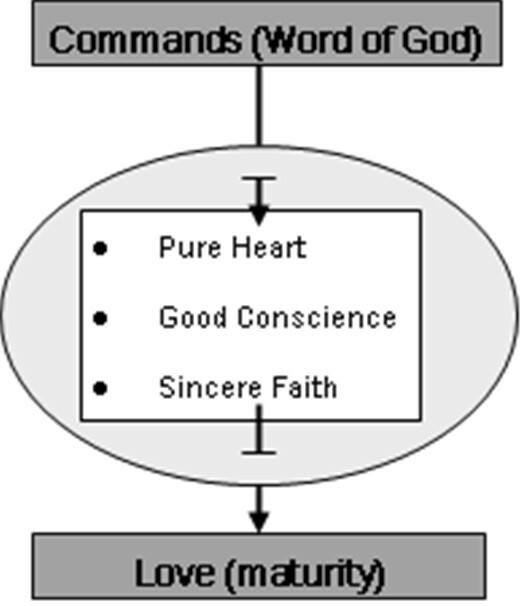 A “pure heart” refers to the soul (mind, the seat of the emotions, will, decisions, etc.) First, the Word sets the moral compass of your soul: truth and error, right and wrong. A pure heart is the opposite of being double minded. Jesus says this single-minded heart will see God (Mt 5:8) or see God’s will for your life fulfilled. A “good conscience” indicates a person who is willing to judge their attitudes and actions based on that “pure heart.” When they violate the directions of their pure heart they make corrections. A “sincere faith” is more than window dressing. It is desiring God. This is truly seeking God and his will for your life. This person is honest and sincere before God. They can not point north and, at the same time, walk south.